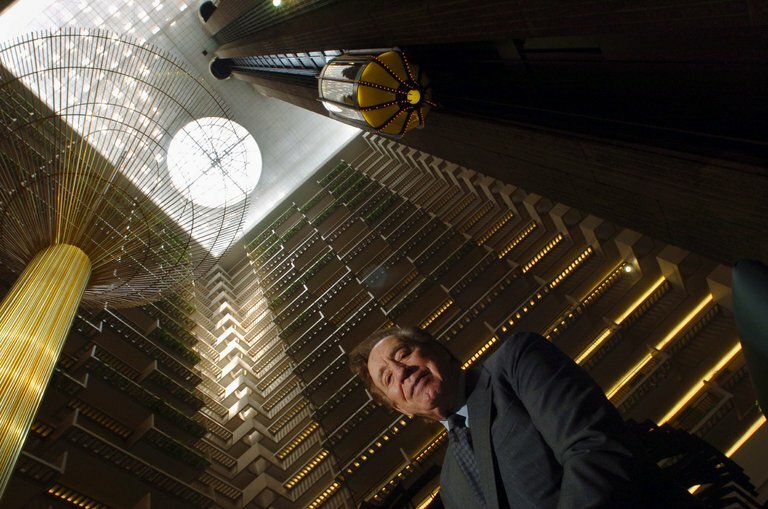 John Portman was an American "starchitect"
Atlanta, and brought a magical vivacity to urban commercial architecture. Portman in the 23-story lobby of Atlanta's iconic Hyatt Regency, built in 1967.
human beings at the head of our thought processes. You want to hopefully spark their enthusiasm. Like riding in a glass elevator: everyone talks on a glass elevator. You get on a closed-in elevator, everyone looks down at their shoes. 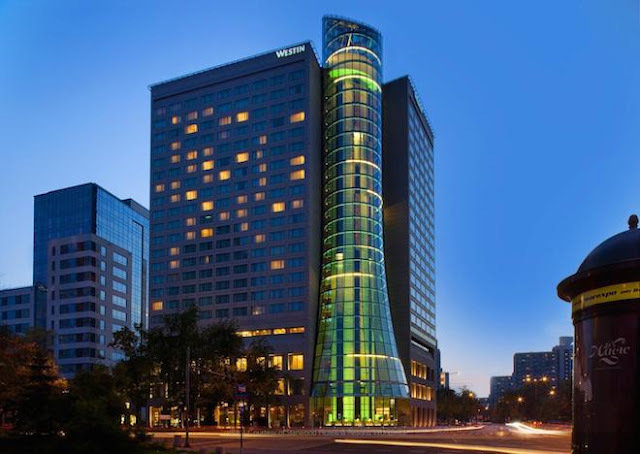 A glass elevator lets people’s spirits expand. Architecture should be a symphony." LA Westin Bonaventure, and Mission Impossible III (2006). 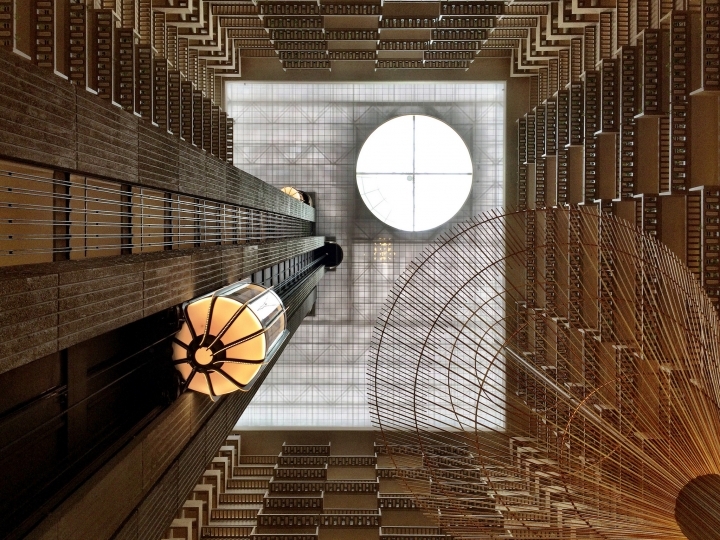 In the late 60s, Portman went on to design and facilitate the building of many more hotels and commercial venues. 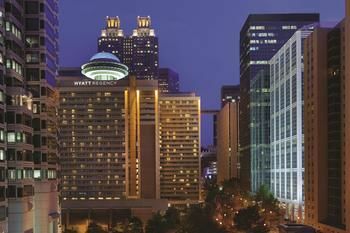 These included the Marriott Marquis in New York (a great place to have dinner and watch the action in Times Square), the Westin Bonaventure in Los Angeles, and the sprawling Peachtree Center in Atlanta. 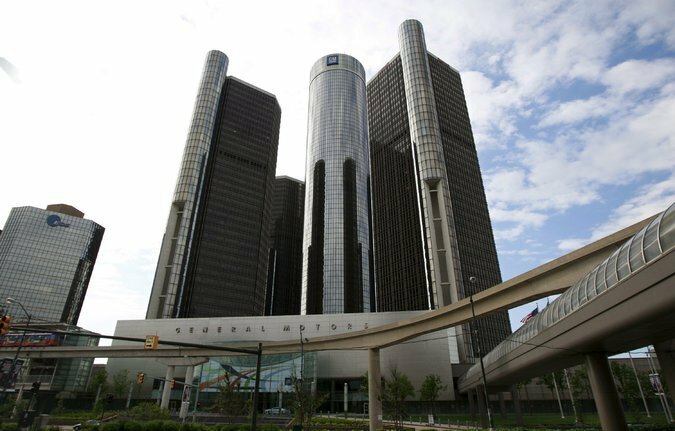 His buildings can now be seen in 60 cities all over the world. paradoxically cut off from the downtowns they were intended to rescue." American Institute of Architects. A man after my own heart!